The Opposite of all things Woody, 26 October 2002 Author: drosse67 from Virginia He lives in Southern California. He spends time in a mall. He carries a surfboard. He wears a ponytail. Is this really Woody Allen, or an imposter? 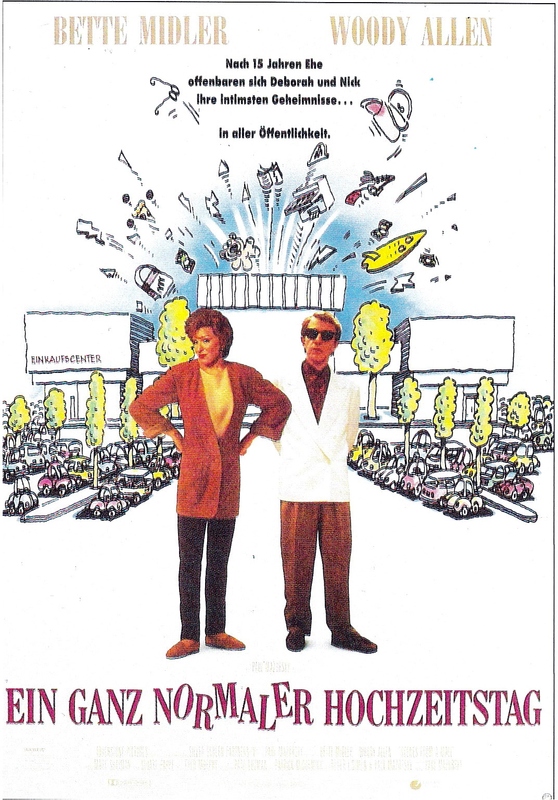 This movie received a critical beating when it came out, but it's really not that bad. In fact, I sort of got a kick out of seeing Woody in this. He is well matched by Bette Midler, who reprises her Down and Out in Beverly Hills character. 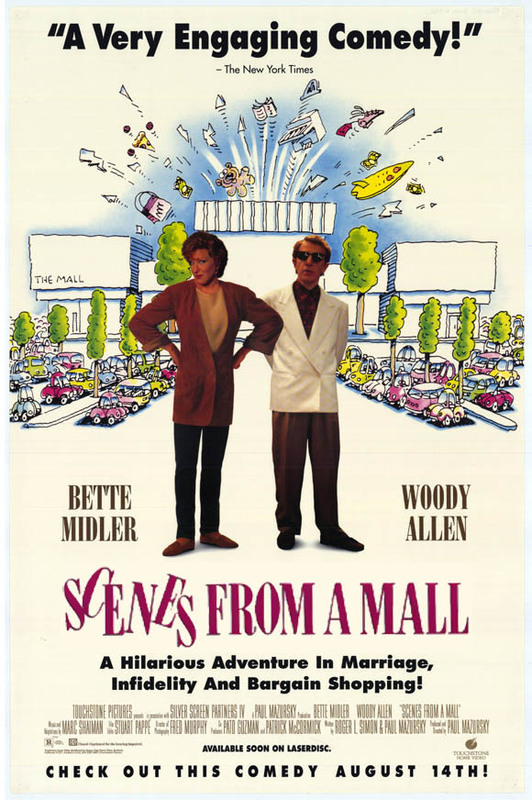 Director Paul Mazursky, who usually makes either Southern California or Manhattan-set social comedies, brings Woody out to the Beverly Hills that he's trashed in so many movies (the most obvious being Annie Hall), and plucks him into the center of '80s and '90s California consumerism--the mall. 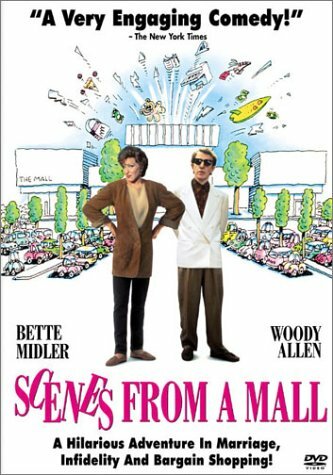 The story involves Allen and Midler discussing their infidelities in various mall settings, but the dialogue is merely a clothesline for the idea. 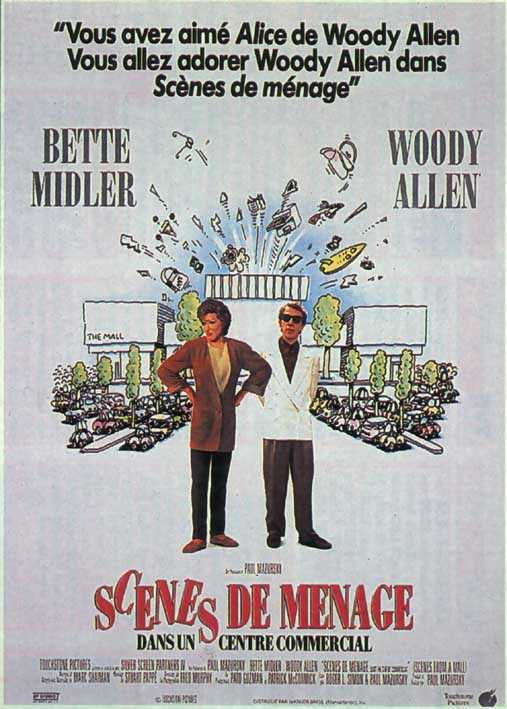 It was a hard idea to pull off, but I, being the Woody Allen fan that I am, enjoyed it.